The Gang of Eight Comprehensive Immigration Reform bill is a prime example of what George Orwell called Doublespeak, the political practice of masking the real meaning of words in an effort to deceive the people. Note that the word suggests an independent nation with borders and self-rule over its own affairs, not manipulated by the wishes of outsiders. “The passage of this Act recognizes that the primary tenets of its success depend on securing the sovereignty of the United States of America and establishing a coherent and just system for integrating those who seek to join American society. But when you read the bill you will quickly realize that it does just the opposite of securing our sovereignty. The bill proposes giving legal recognition to people who have sought to disregard our laws and violate our borders. It rewards trespassers whose first encounter with the United States was to enter illegally. To make matters worse, they break the law every day they go to work, knowing that they have no authorization to work here. The bill seeks to ignore the fact that they are unlawfully present and disregard their lawbreaking as they worked here. We already have borders and immigration laws that, if enforced, would demonstrate our sovereignty. 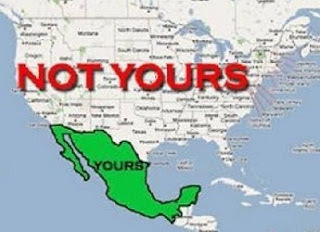 What has caused our sovereignty to erode is the long line of apologists who defend the illegal aliens and seek amnesty. Such behavior by politicians and preachers is shameful. Now they seek to legalize the very people who have weakened our sovereignty.